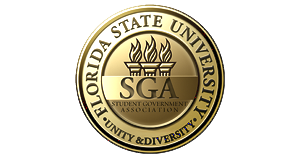 Each of the 80 Senators represents one of FSU’s 20 divisions. First- and second-year students are listed under undergraduate studies. Third- and fourth-year students are classified by their majors. Senators are elected in the fall and spring about five weeks after classes begin. To run for the Senate, you must file your candidacy application with the Supervisor of Elections office by the advertised deadline, usually four weeks after classes begin. If you run as an Independent (without a party affiliation), you must file your candidacy application. Campus political parties usually help their candidate’s complete candidacy applications and submit them for their candidates. Most parties interview students to choose those whose campaigns the parties will support. To run with a party, promptly contact the party in which you are interested to be sure you meet its deadlines. A party can help you follow the Election Code and rules, meet election deadlines and plan your campaign. The Student Body President can appoint a student to a vacant senate seat after advertising the vacancy two times in a campus newspaper. Appointed senators require senate confirmation. To be considered for an advertised open senate seat for which you qualify, immediately complete an application.